Imagine visiting a dental practice that would welcome your whole family and provide quality care you can trust. When you visit Dr. Lalonde's Los Fresnos practice, we want you to feel like you are coming home to old friends. We offer family dentistry designed for your total comfort and complete satisfaction. At your first visit, our team will record your insurance information and answer your questions about financing, payments, scheduling, and treatment. Dr. Lalonde will then perform a comprehensive exam, including X-rays, oral cancer screening, periodontal evaluation, and a bite assessment. He will discuss your concerns and goals for dental care, then use all pertinent information to design a customized treatment plan to exceed your expectations while meeting your budget. With intraoral photos and digital X-rays, he will share his findings and recommendations so that you can make the best decision for your unique situation. Contact our Los Fresnos office today. We will gladly schedule convenient appointments for you and your whole family. 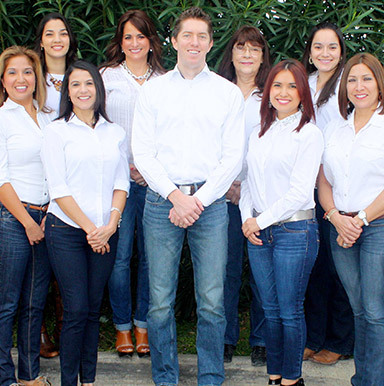 Our office proudly serves patients throughout Brownsville, South Padre Island, Bayview, and the neighboring communities.